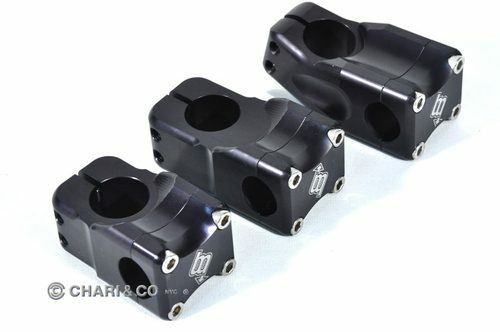 Brooklyn Machine Work‘s Stuboid stems are now in stock at Chari & Co in 35mm and 50mm lengths. Manufactured in the US of A from a solid block of 6061-T6 Aluminum. Depending on installation, the stem can be 13mm or 25mm rise.